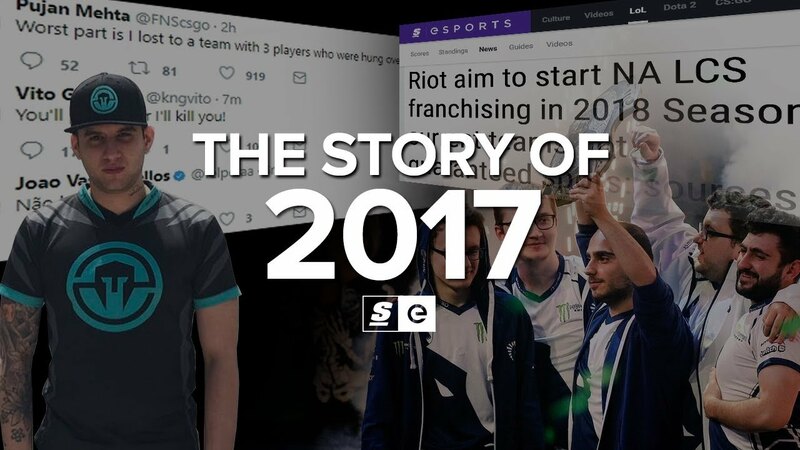 2017 has been one of the craziest years in esports history. Just this year, we’ve seen more than a dozen non-endemic investors buy into the scene, the announcement and creation of a franchised NA LCS and a total shift in the Dota 2 pro system. But 2017 was a transitional year. It was a year where we moved further away from esports' grassroots origins and further into a professionalized model designed to attract outside money and viewers into the scene. It was also a year rocked by scandals, deals gone wrong, and an entire league being left out to dry. Here is the story of 2017. Tiana DeNicola is a video editor for theScore esports. You can follow her on Twitter. Josh "Gauntlet" Bury is news editor for theScore esports. You can follow him on Twitter.